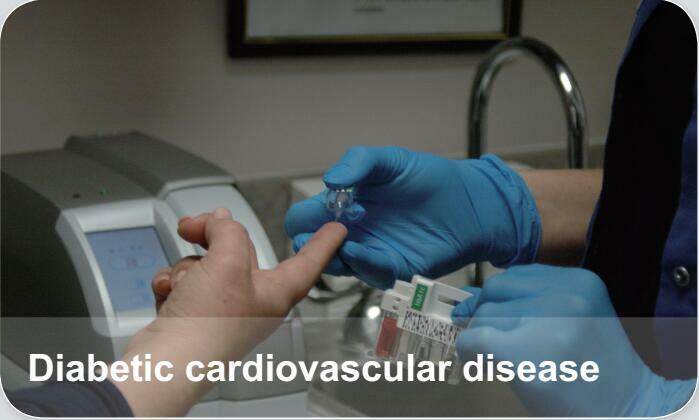 Cardiovascular disease is a major cause of morbidity and mortality in persons with diabetes mellitus. Most patients with diabetes of sufficient duration have atherosclerosis, and diabetes is a major risk factor for coronary artery disease, stroke, and peripheral vascular disease. Several large clinical trials indicate that there is a two- to four-fold increased relative risk of MVD（macrovascular disease）in diabetic men and women across all age groups.